For a service department and a team of qualified professionals that you know you can trust, come to Encore Honda in Chateauguay today and let our service department keep your Honda vehicle running as good as new. Whether you need an oil change, a specific repair or a complete maintenance service for your Honda, the service department at Encore Honda is dedicated to making sure that all their work is completed in a timely manner with the highest standards of quality. When you bring your Honda vehicle into Encore Honda, rest assured that your car is going to be treated with care by professionals with years of experience and continuous training from Honda. At Encore Honda, our technicians know every Honda vehicle inside and out. 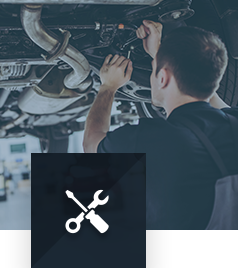 Not only will the service department perform any request with a high level of professionalism, they will be available to answer any questions you may have regarding the work done on your vehicle. Moreover, Encore Honda makes it very affordable to service your vehicle with monthly special offers on all of our maintenance and service packages, as well as our Express Service for unparalleled value. Come into Encore Honda today and let our service department ensure that your Honda is always in perfect condition. Book your appointment online today.